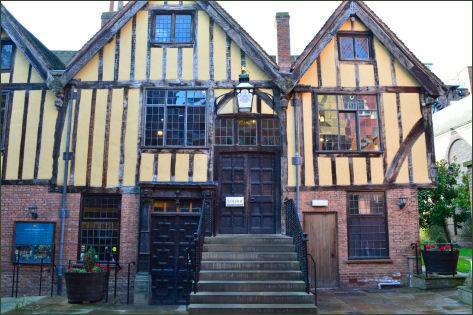 The Merchant Adventurers' Hall, a medieval guildhall situated on Fossgate, was once one of the most important buildings in the medieval city of York. It is the finest surviving medieval guild hall in Britain and is a Grade I listed building..
Construction of the Merchant Adventurers' Hall commenced in 1357, during the reign of King Edward III and was completed four years later. It was built by a religious fraternity of men and women known as the 'Guild of Our Lord Jesus and the Blessed Virgin Mary'. The hall occupies the site of a former Norman mansion. The main part of the building consists of the semi timbered Great Hall, where meetings and the business of the guild took place. 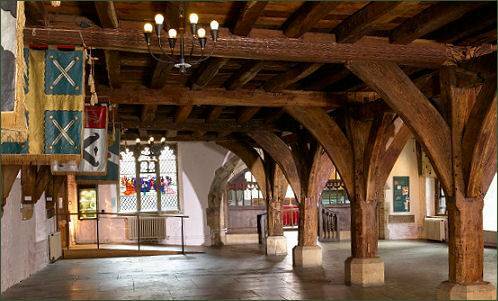 The Great Hall is a timber-framed structure and was built over a five-year period. It is the largest timber-framed building in Britain still standing and used for its original purpose. 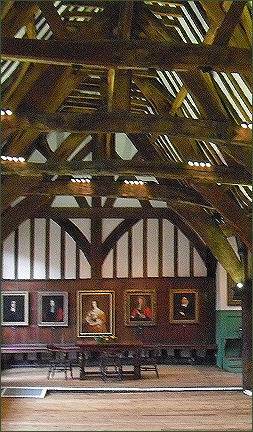 The green Governor's Stall was moved to the Great Hall during the Georgian period and originates from the Assize Court at York Castle. The fireplace is an Elizabethan addition, further Georgian additions include the large windows and lecterns in the hall and chapel. The undercroft served as a hospital or almshouse for the poor and destitute of the city of York from 1373 to as late as 1900. The walls of the undercroft are made of brick and are one of the earliest examples of brickwork in York. 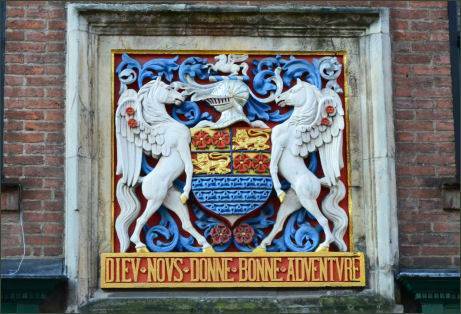 The most striking feature of the Undercroft is the bright profusion of colourful heraldic banners which hang from the walls. These are the banners of the various city guilds, or livery companies, and each banner shows symbols relating to the occupation of the guild it represents. The undercroft provides access to an attached chapel which was built in 1411 for the use of the ill and poor in the hospital as well as the members of the Merchant Adventurers' Guild. The chapel was added to the building in 1411 to replace an earlier chapel which was attached to the Great Hall. The present furnishings of the chapel date from 1661. It is still used for worship. Many portraits hang on the walls of the Hall, many of them of Governors of the Company; others are of royalty or of benefactors of the Company. The Company also has a fine collection of photographs of Governors from the 1850s. 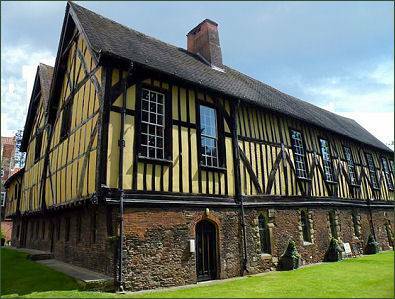 The Merchant Adventurers' Hall is home to many remarkable collections including silver, furniture and paintings and is set in attractive gardens. The oak 'evidence' chest dates from the early fourteenth century and is one of the oldest pieces in the collections. In it were stored the title deeds to the many properties which the Company once owned. A display of the Company's antique and modern silver and jewellery is housed in the Governor's Parlour. 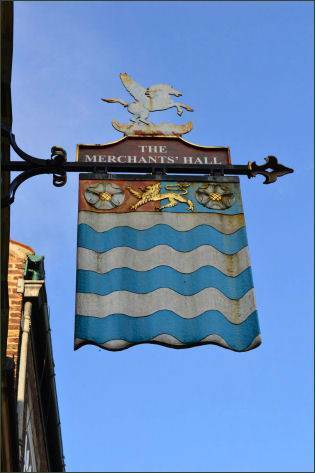 The Hall belongs to and is still regularly used by The Company of Merchant Adventurers of the City of York. The Hall is open as a museum and can also be hired for parties, dinners and special occasions. It is also licensed for weddings and holds wedding receptions throughout the year. 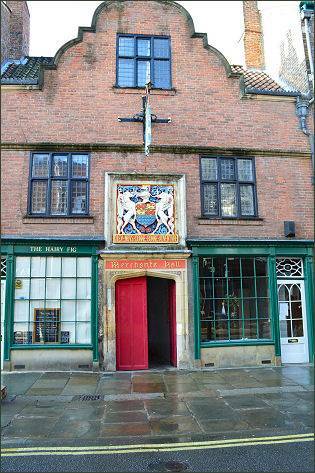 The Merchant Adventurers' Hall is accessed via a passageway from Fossgate.